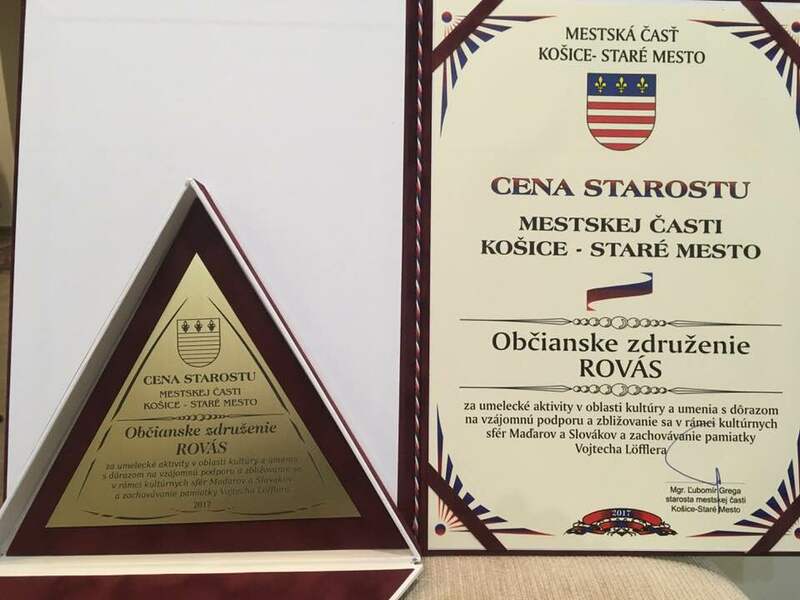 The history of the Jews in Rožňava dates back to the middle of the 19th century, when the first Jewish merchant, Albert Glatter settled down in the town. 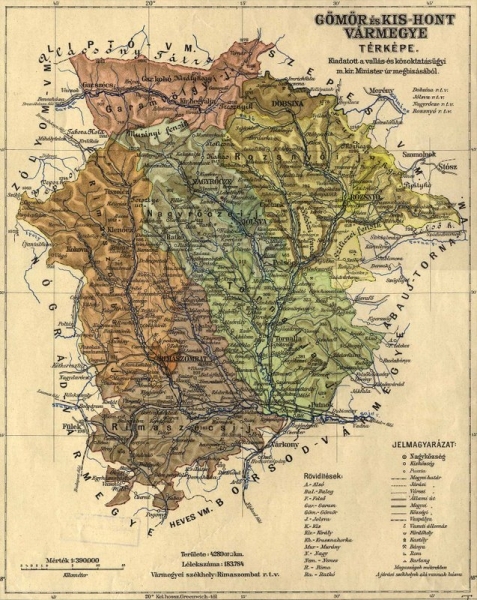 After 1850, the number of Rožňava′s Jewish inhabitants steadily grew. Several years later, they opened a cemetery and in 1857 the local congregation was established under the guidance of Rabbi Isaac Deutsch. The advent of the Jewish merchants boosted the economy of Rožňava. After the death of 35-year-old Rabbi Isaac, Leopold Lemberger became the congregation leader. 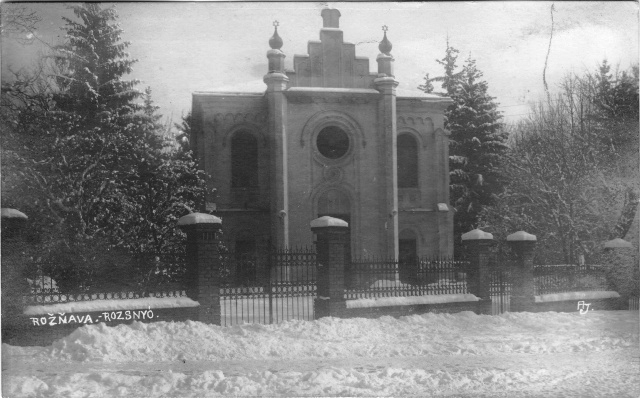 In 1875, the chapel in Rose Street (Ružová Ulica) opened, thanks to Samuel Kohn. The Jewish elementary school was founded in 1877 and the congregation wrote its Torah, too. After the consecration, the Chevra Kadischa, the Holy Burial Society was established, with William Weinberger as its first president. By 1881, the number of Jews increased to 257 in the town of 4730 inhabitants. In 1890, a fire destroyed the town, which also burned down the chapel. Later, Dr. Mór Mayer organized a fundraising collection for the erection of a synagogue. 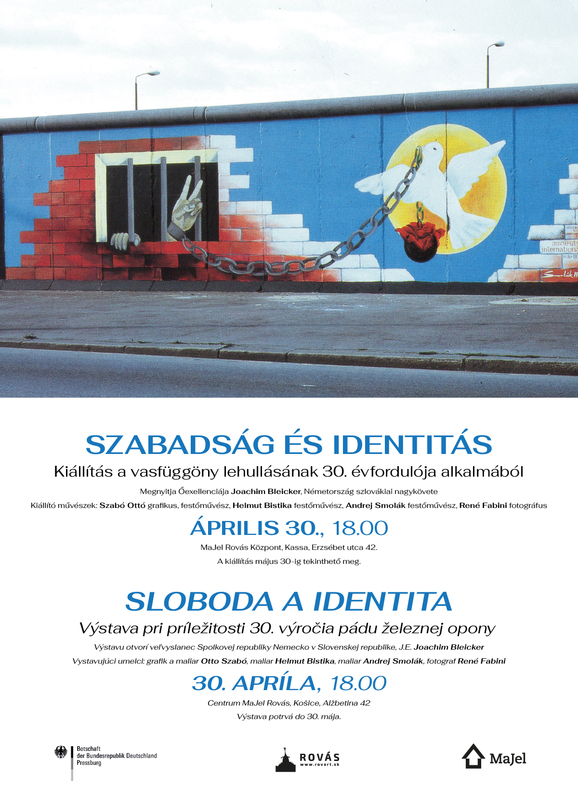 Among the donors were also Counts Géza, Emanuel and Denis Andrássy, as well as Jacob Strausz. 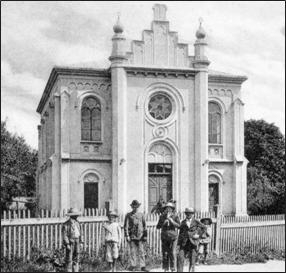 On 29th August 1893, the synagogue opened its gates to the public in the former Berzétei Street (today: Šafárikova Street). The building, designed by Nándor Kunfalvi from Szeged, Hungary was erected under the leadership of Nándor Szilvássy. In 1895, the state took over the congregation school, thus the school lost its clerical character. In 1902, 27-year-old Isaac Lemberger became the local rabbi. Many members of the Jewish community of Rožňava perished in the First World War. In 1920, the Jewish Party was established. In the elections held 3 years later the party received 173 votes, so they managed to get two positions at the town council. In 1930, there were not less than 437 Israelites living in Rožňava. There were 60 merchants, 16 clerks, 8 wholesalers, 8 craftsmen, 6 freelancers, 5 lawyers and 3 farmers among these. In 1939, the situation of the Jews changed. Their stores where shut down one after the other and they were prohibited to do business. In accordance with the laws on the Jews, they were not allowed to take part in cultural life; they were banned and excluded from various associations and organisations. They were not allowed to make purchases at the local market until 10 a.m. An ever growing number of Israelites was sent to labour camps. In 1943, children of Jewish origin were not admitted to nursery schools anymore; therefore the Jewish nursery school was founded. In 1944, the congregation was led by Jenő Rosenblüth, with Leo Singer Salamon as the Rabbi. In the same year, 360 Jews were condemned to live together in the local ghetto. Many of them committed suicide at the time. The local ghetto consisted of the so-called Shitzer houses, located at nos. 8, 10 and 12 in Petőfi Street. By 12th May 1944, all Jews were relocated to the ghetto. There were 5 people crowded into each room; only those were allowed to leave the house, who had a job. 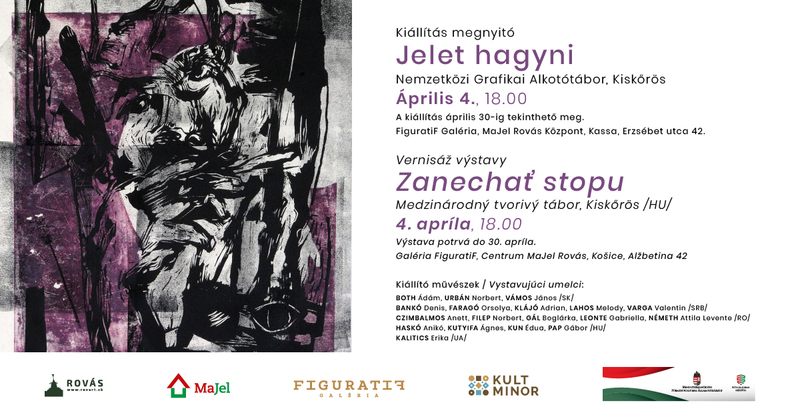 On 9th June 1944, 300 Jews were transported to the ghetto in Miskolc, Hungary and later deported to Auschwitz. On 27th January 1945, the Auschwitz labour camp was liberated. Most holocaust survivors left the town after the establishment of Israel. In 1947, the Jewish congregation dissolved. The property of the members was confiscated by the state. Later, the synagogue was used as a furniture warehouse. In 1957, it was completely torn down and a coach station was planned to be erected there. 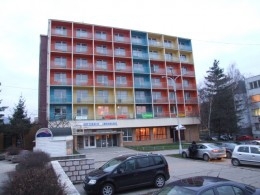 In the end, an apartment house was erected at the venue. All that remained was a single marble stele, originally located at the top of the building. 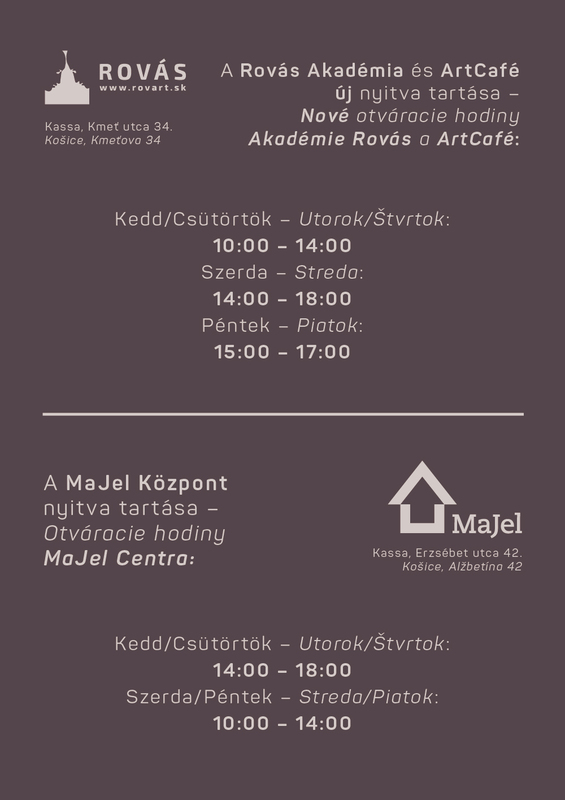 Currently, it is exhibited at the Mining Museum in Rožňava. 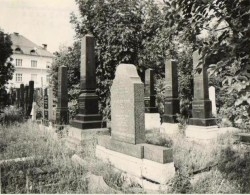 The Jewish cemetery was abolished in 1970. 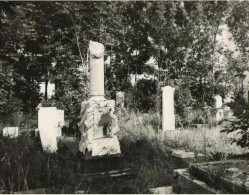 The more valuable tombstones were transferred to the large public cemetery of the town. As the time passed, nature reclaimed the place; there is no sign of them anymore. The municipality has placed a memorial tablet on the Town Hall walls; here, the municipality commemorates the lost Israelite inhabitants every year. A memorial was erected in the public cemetery, too.